When I found out Bluff City Lights was teaming up with Pure Barre I was so excited. I can go on and on about how much I love going to Pure Barre, I cannot believe I have been doing it for almost 7 years! Although I am a regular, this workout is NEVER easy! Make sure to check out the other Bluff City Lights blogs, Megan, Collins and Alex to read about their experience! My favorite part about class is elongating the muscles we just worked. Also known as stretching. 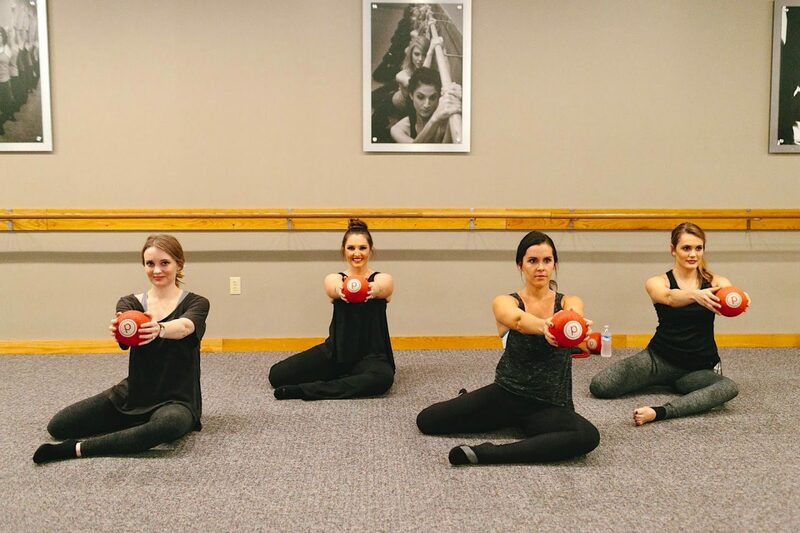 But it really is elongating them and that is one thing I love so much about Pure Barre is that you get long and lean muscle tone throughout your body. In the above picture we were doing the pretzel move, it is such a good one. I will 100% be sore after this move. Below we are working on our abs. It took me a long time to be able to focus the attention on my core and not use my hip flexors. Do any of you still struggle with focusing on specific muscles during class? 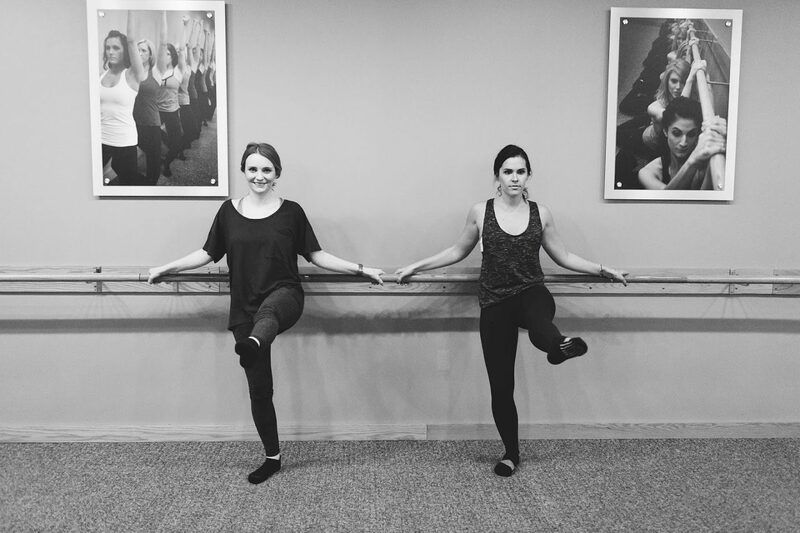 Since I love Pure Barre so much, as do the girls of Bluff City Lights, we decided to let one of our readers give it a try… for FREE! Enter our giveaway below for a chance to win 1 month unlimited! Thank you for the class Lindsey! By the way, Lindsey just started her own health, fitness and fashion blog and it is so good! Make sure you check her out, Pretty Active Life. When I was looking at these pictures I started to laugh a little becuase all my workout thoughts started going through me head as if I was taking class again. See below for some of my most popular thoughts. 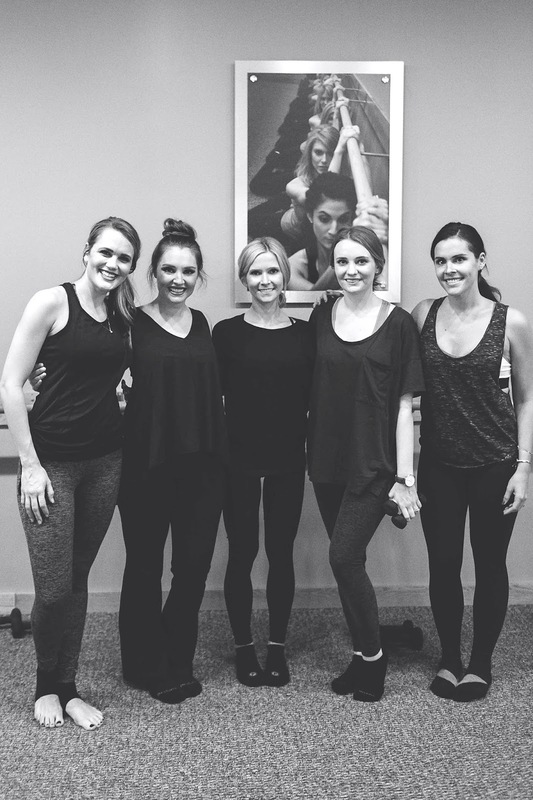 I have encouraged so many of my friends to try Pure Barre and a few go regularly now! 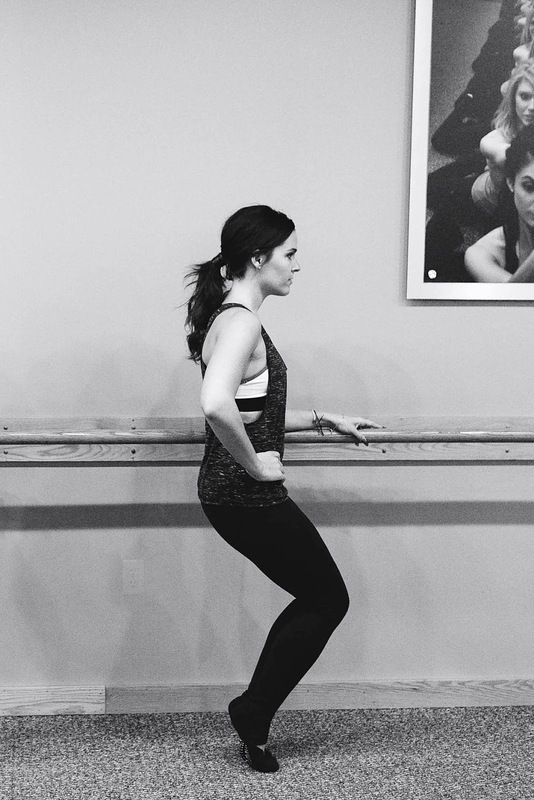 I am huge advocate for Pure Barre, it truly is a great workout and I love what it does for my body. I took class throughout my whole pregnancy, up to 37 weeks! At that point I wasn’t able to be very productive in class. Comment below if you want me to do a pregnancy post on Pure Barre. I enjoy putting my workout outfits together just as much as I enjoy putting together any other outfit. Athleisure is so poplar now and there are a number of different styles and trends. How many of you pick a cute athleisure outfit to go to the grocery store or lunch when you have no intention of working out, I know I do! I have black pants to bright solids and crazy prints, some cut off at my ankle and some I pull down over my heel. Lately, I have been wearing loose tops with my leggings because I still have a little extra/squishy skin since having a baby and my pants cut into me more than they used to and tight tanks show it off and it isn’t flattering. 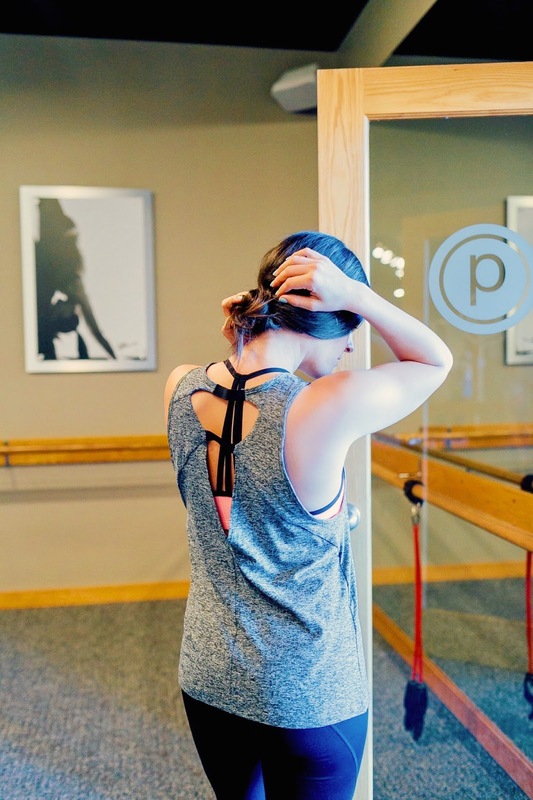 Pure Barre carries so many different brands, there is definitely something for everyone. I feel like it used to be Lululemon and Splits59 and now there is Alo, Beyond Yoga, Vimmia, which is a new brand that I had never heard of, and of course the Pure Barre brand as well as others. 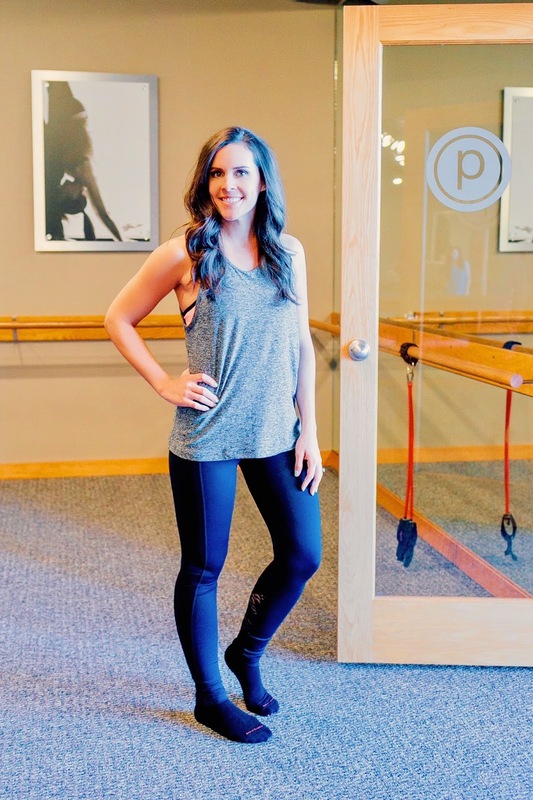 Pure Barre has so many great new spring pieces in. I did a little browsing and decided to show you my top outfit. All of this can be purchased at the Germantown location. – “Stack your arms and begin to lift your knees” – Here we go, I hope this is a good class, my thighs are kind of burning and I’m only 10 seconds into class. Oh shoot, they said 2 to the right, 2 to the left. Ok, now I’m back on track. -“We are here for 90 seconds” – This version of plank is so hard. I really want to come down to my knees. No, don’t do it. 30 more seconds to go, mind over matter. I did it! -“High up on your tippy toes and glue your heels back together” – Oh, I like this one. They want me to go lower. I’m not shaking but my thighs are burning soooo much. Ok, I’m going to get my belly button below the bar. Can’t do that, belly button at bar height I can do. -“Back to center and reach your left leg out in front”- I love stretching! Can we please hold this pose a little longer. – “Time for seat work” – I love seat work, much easier than thigh sprints. – “Come down on all fours and bring your left leg to the side like a fire hydrant” – There is no way anyone can hold this pose perfectly the whole time. I’m supposed to be working my left out seat muscle but my right hip is burning so bad. I hate when I rest my leg. Last 10 seconds will be my best! I could go on and on with all of my thoughts and as you can see there is some positive and negative. Some days are better than others. I assume it has to do with how well I’ve ate or if I’m already sore from a previous workout. Please let me know if you have had tried Pure Barre or if you have any questions about it! This looks lovely. it is very nice kissing magic.